Bio: Dr. Zheng is an Adjunct Senior Research Scientist at Advanced Digital Sciences Center (ADSC), Singapore, and a research affiliate with the Coordinate Science Laboratory of University of Illinois at Urbana-Champaign, USA. He received his Ph.D. degree from the Hong Kong University of Science and Technology in 2011. His research interests focus on mining with heterogeneous and structured data. 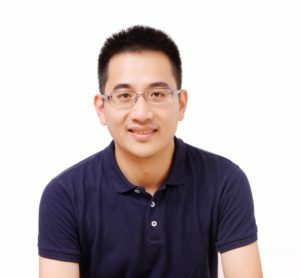 His work on graph feature engineering is highlighted as IJCAI-ECAI 2018 Early Career Spotlight. His work on deep transfer learning receives the Best Paper Award from ICCSE 2018. He is the Associate Editor of Cognitive Computation. He has served as PCs in many leading data mining and artificial intelligence conferences such as KDD, IJCAI, AAAI, WWW, WSDM. He also co-organized the 1st IEEE ICDM Data Mining Contest in 2007, the International Workshop on Localization Technology and Location-based Service at IEEE CPSCom 2013, and the 1st International Workshop on Large Scale Graph Representation Learning and Applications at ICDM 2018. He has published over 60 papers in the refereed conferences, journals and book chapters. He holds multiple patents and technical disclosures. He is a member of AAAI and ACM. Research Interests: Graph learning, transfer learning, information extraction, ubiquitous computing, and general machine learning with structured outputs, probabilistic graphical models, etc. Ph.D. in Computer Science from the Hong Kong University of Science and Technology, 2011. B.S. in Computer Science from the University of Science and Technology of China, 2006. Intern at Microsoft Advertising (Bellevue, WA, USA), August-November 2010. Intern at Microsoft Research Asia (Beijing, China), July-December 2009. Guest lectures for CS411 Database Systems on Information Extraction, in UIUC at fall 2013.